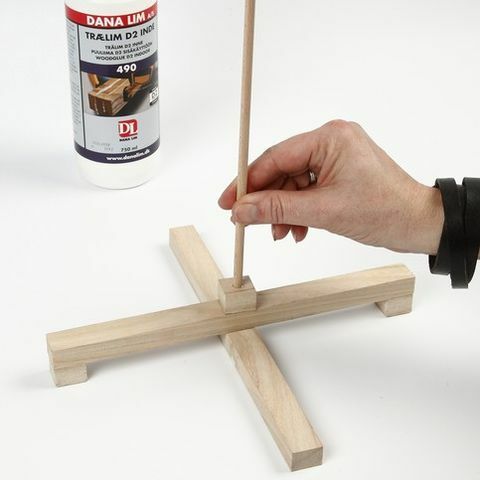 Cut strips of wood into small pieces and drill a hole in the middle of a flower stick which will function as the center piece of the Christmas tree. Glue on the stand with wood glue. Bend the star from bonsai wire and wrap thin silver-plated wire with drop-shaped glass beads around the star. Also saw some spacers; 2cm squares x 14 pieces. 2. 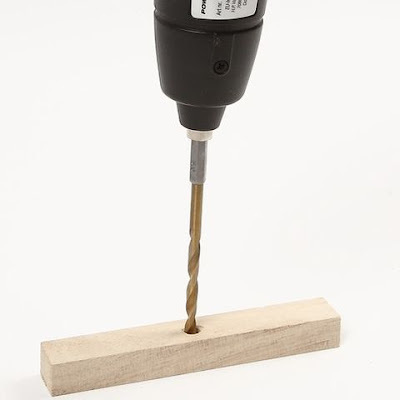 Drill a 6.5mm hole in the middle of all the wood pieces. 3. 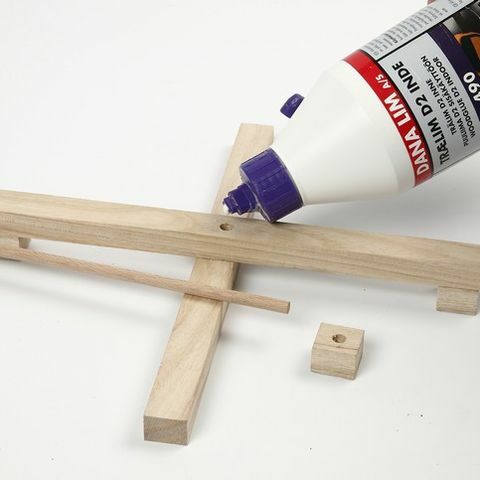 Glue the stand together. 4. 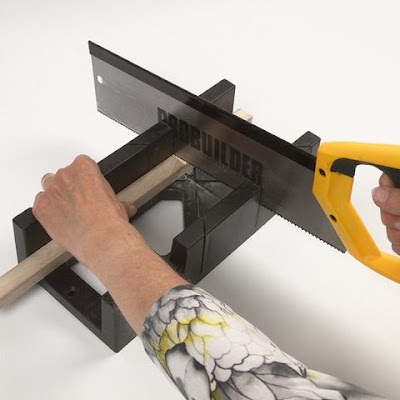 Glue a 49cm long flower stick into the hole in the stand. 5. 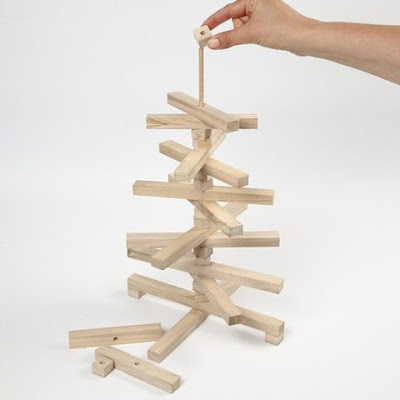 Assemble the Christmas tree. You will need approx. 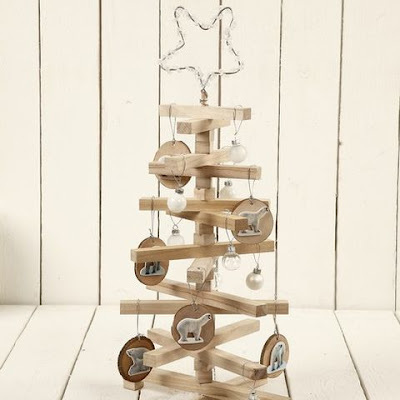 six wood sticks for a Christmas tree. 6. 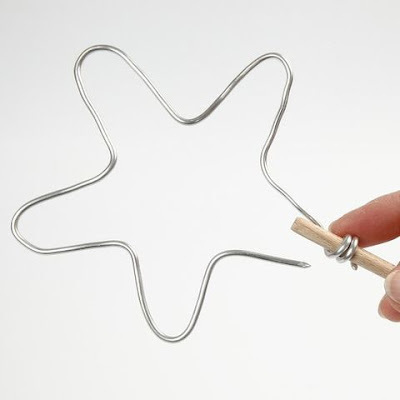 Form a star from a 50cm long piece of bonsai wire. 7. 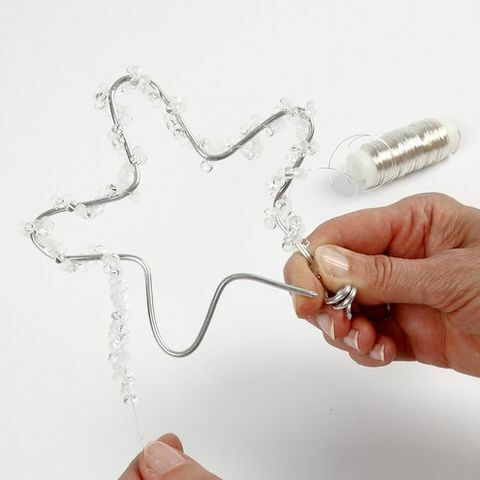 Wrap a piece of silver-plated wire with drop-shaped glass bead around the star. 8. 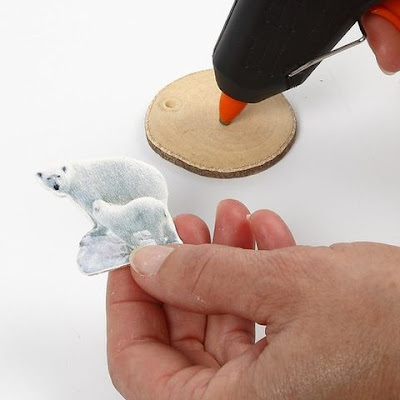 Glue decorations onto the wood slices.